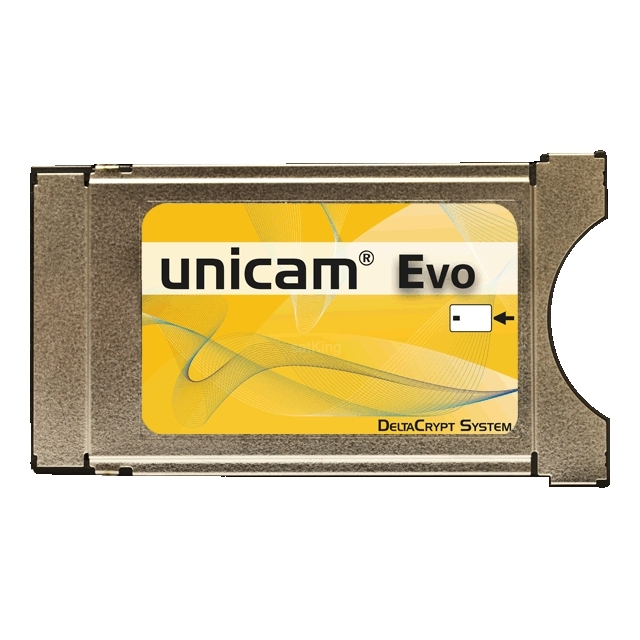 Unicam Evo Professional CI Module Rev 4.0 is a multi-system multi-decoding professional CAM module compatible with a plethora of encryption systems including Viaccess, Conax, Irdeto, Nagravision, Cryptoworks, Mediaguard (Seca/Aston) and BISS. And compatible with providers such as Canal Digitaal NL, TV Vlaanderen, Germany, ORF, HD+, Telesat, Digiturk, tivusat. The Unicam Evo Pro has been tested with set top boxes, CI/CI+ ready TV's, DVB PC equipment and headend equipment with the compatibility list continually increasing. Special attention has been paid on compatibility with DVB PC devices like DVBSky, anysee, KNC ONE, TechnoTrend etc. Updates can be carried out on Windows, Mac and Linux computers in conjunction with the Unicam programmer. 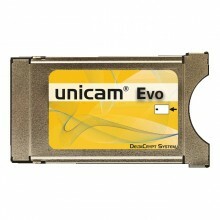 Click the button below to add the Unicam Evo Professional Deltacrypt CI Module Rev 4.0 to your wish list.